black on cop violence - White Girl Bleed a Lot, Knockout Game, black on white crime. 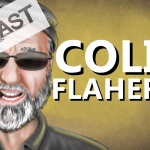 New Podcast: Hillary was right: White people do not listen to black people. If we did, we would know black people are not really that into us. Also, the Root tells the fellas what to say when people talk about black violence, wildly out of proportion. You do a great job of keeping cops anonymous. I’m six years from retirement and really want to keep my pension. Let’s just put it this way. I moved from [one state to another] for a very specific reason. There are a couple stories that culminated in being the final straw for me. I’ll sit down and do some typing tomorrow. Right now I’m currently helping my fifth cop escape from there to come here. Huge cadre of cops here. All left for the same reason and we all jokingly give the same excuse: “there wasn’t enough [punch line redacted, sorry]”. I’ve already been disciplined for posting your stuff on my Facebook after I got snitched on (snitches get suspended ). We are total prisoners of the lie because they know we won’t risk our pension. Silenced. I share several of your videos daily. They can always be counted on to do the worst possible thing. Please keep me anonymous and thank you for being the only one who recognizes and reports the truth. Your videos are cathartic for me. Trust me. From personal experience. You are not wrong. Letter from a Cop — a targeted victim of black violence. I’m a retired police officer, in the past I have also been the targeted victim of the violent racist, “Sistas and Brothers”. I effectively stood up to them and so can you. They are flesh and blood and feel pain they are not “Superman”, give it back to them! We are seeing often organized asymmetric warfare being perpetrated against the people of the various Light Skinned- Fair Skinned Races. As such everyone of us is a potential targeted victim. The enemy, the criminal element within the “Black communities” who ironically are not Black, rather they are really Brown skinned peoples. Erroneously revered to as Black. They are known to stick together and cover for each other, their hideous racial crimes. Light skinned people need to realize you are being targeted merely because you are light or fair skinned or so called “White”. If you see a light skinned/fair skinned woman, girl, boy or man being viciously attacked, get involved use what ever force is proportionate to stop such violence. With motivation and dedication take up the study of real effective worth while Martial Arts such as, Combat Marksmanship, Karate,Jujitsu, Aikido etc. Develop “Situational Awareness”, which is associated with your Intuition, “Gut Feeling”, Follow Believe it. It can save your life or a loved one! Where legal, consider carrying pepper spray, firearms,charged cell phone with video capability and a powerful flash light where legal. Do not allow such low class hateful racistic violent criminal scum to rule over you. Redirect their violent savage attacks back, give them a taste of their own medicine. Start to stick and fight together. 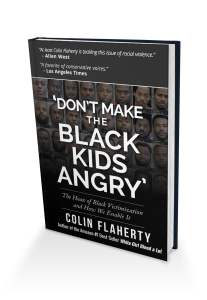 Stop “Feeling Sorry- Guilty” for Blacks. You owe them nothing. Remember the next targeted victim could be; you, your, mom, father, grandparents,uncle,aunt daughter,sister,brother, being unprovoking viciously attacked. We have the right and responsibility to do what we can to defend our lives, loved ones and property from racistic and criminal attacks. Exercise your right and responsibility, smartly. I retired as a CIO employed by the Federal Government. Shortly before I retired, I had an entry level position for which I was recruiting. According the rules, I interviewed the individuals in the upper tier of minimum requirements per HR. The upper tier consisted of individuals who rated the highest marks based upon their education, experience and paperwork submitted. Of the 12 people in the upper tier, 10 were white men. One was a black female one was a black male. I, along with my panel (three other people from our department who were in leadership roles), interviewed all 12 candidates. We narrowed the choices down to three, all of whom were white men. We selected an individual who was capable and ended up fitting in with our crew, even getting promoted quickly for his ability to go above and beyond the call of duty and to learn all he could about our mission. Needless to say, long story short, she continued to stalk me, so I took appropriate action via HR. This person eventually fired, as she had “stalked and harassed” other supervisors when not considered for a job. This is what we deal with each and every day as white Americans… it is exhausting.